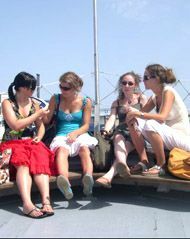 Enjoy your Spanish learning vacation in a city known for it's all year round climate, Malaga enjoys more than 320 days of sunshine a year with an average temperature of 22ºC. 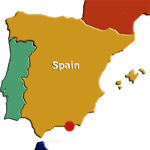 Located in "Andalucia" this city has many historical monuments. If you are looking to relax on the beach after class...this is the location for you. 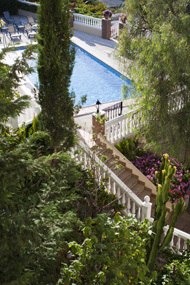 You will book your own flights and arrive independently into Malaga airport. You will be met at the airport and taken to your accommodation. Your accommodation is included on the Sunday, our language courses start on Monday and finish Friday, departure day Saturday. Our modern school campus is located in the heart of this small coastal town. 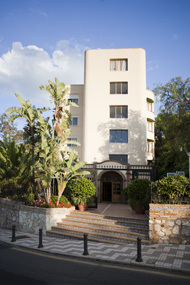 It offers excellent facilities including a swimming pool and its walking distance to the beach. 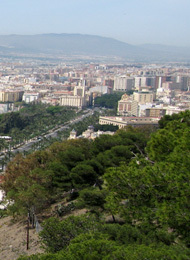 Easy public transport access to reach the city centre of Malaga. Please Note: Full board is mandatory for students under 16 years of age. Please note: There is larger rooms available with more amenities for single and doubles. Pricing upon request. A continental breakfast every day (Mon. to Sun.) and is composed of a hot drink (coffee, tea or chocolate) + 1 item from the selection of pastries or a stuffed roll or cornflakes + 1 fresh orange juice. Lunch is served from Monday to Friday and includes a starter (salad/soup or pasta) + Choice of a main course from the menu + Drink & Desert Dinner is served from Sunday to Friday and includes a starter (salad/soup or pasta) + Choice of a main course from the menu + Drink & Desert. Rules, curfews must be obeyed with written permission from their parents or legal guardians. Lots to see and do but large city can be a bit overwhelming! "It was a great experience and I would definitely do it over again. The atmosphere was relaxed and chilled out which was good. It was organized and well planned out. Homestay family, was closeby and very convenient, the 'mom' of the family was wonderful, friendly, and very nice.